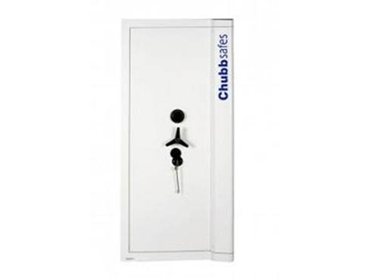 Safes Galore presents the Chubbsafes Europa Grade 111, a range of high security safes designed for jewellery stores and banks. Available in a range of six different sizes, the Europa safes incorporate a special barrier material to protect against various types of burglar attacks. These high security safes come with two shelves and two half-width lockable drawers for storage. Chubbsafes’ Europa high security safes can be supplied with a key and 4-wheel combination lock or optional key and digital lock.